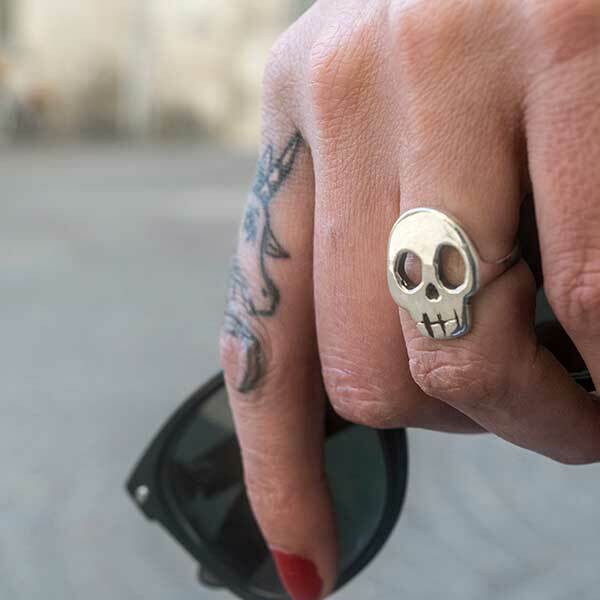 The classic skull ring with a twist and a unique handcrafted touch to make you stand out. 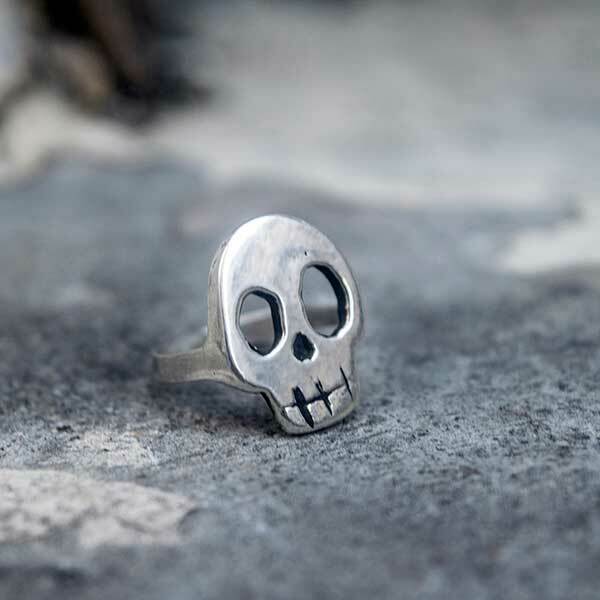 Simple and shiny skull ring in Silver. 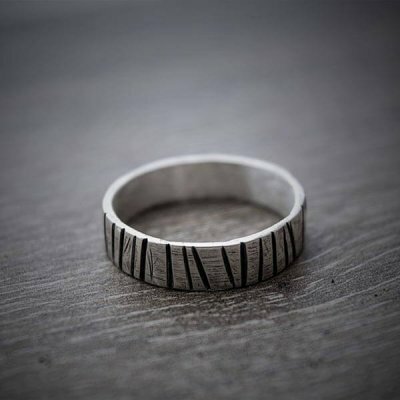 This is an elegant ring, perfect to wear in every occasion. 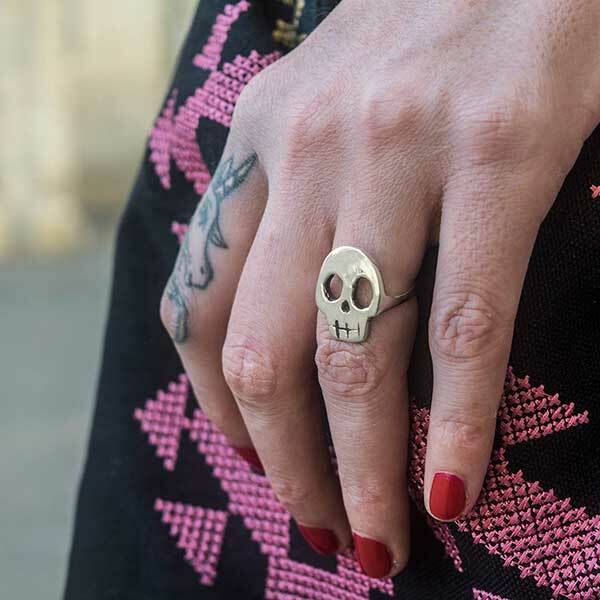 Is perfect for a casual and chic outfit but also for burn up the road! 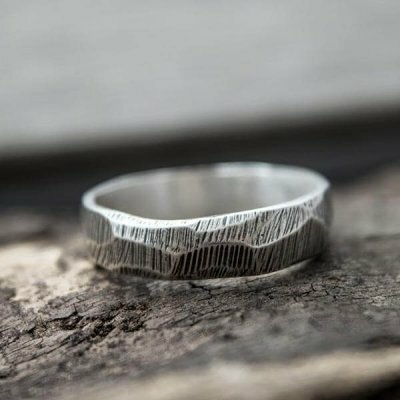 Any person who likes special and handmade jewellery will love it because you will not find this ring anywhere else. This is a personal design carved by hand and specially made for those who love Rock & Roll but that are looking for something different, original and unique. 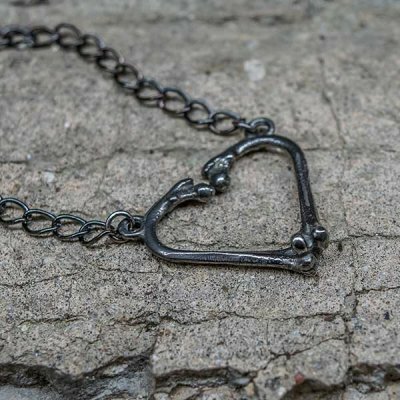 The Necklace is made of SILVER which is an elegant but very resistant material, light and easy to maintain. You can polish and clean it very carefully in order to keep the brilliance (I recommend to use an specific cleaning cloth) this way, you will keep it like the very first day. 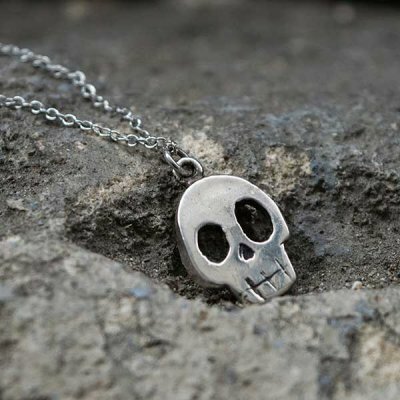 This item comes in a beautiful and elegant black box with our logo printed in silver in the front that allows a SAFE SHIPPING AND CONSERVATION. A unique display for a special accessory. If you like it or IF YOU THINK THAT SPECIAL PERSON WOULD LIKE IT, you can buy it here. If not, you can always send it to who you think may like it or add it to your wish list. If you want to PERSONALIZE IT or if you have any question DON’T HESITATE TO CONVO ME and I can help you to turn your idea into a jewel that will love.